I wanted something really wearable and Creamy Beige really caught my eye: a nice neutral color with a hint of taupe underneath. I wanted something I could possibly wear every day without having to think and that matched with any lip combo I might wear. The darker shades were gorgeous too but I knew I would hardly ever touch them. These were on sale at my local Target for around $4.99 so it was a no brainer to just pick this shade up. 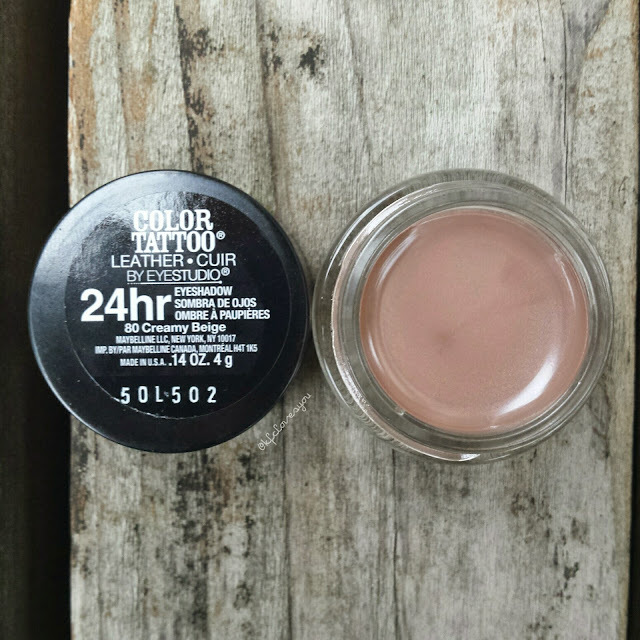 I love how easy the product is to work with, without it being too creamy or dry. It blends out smoothly and also sets to a nice finish. Not too powdery or anything. 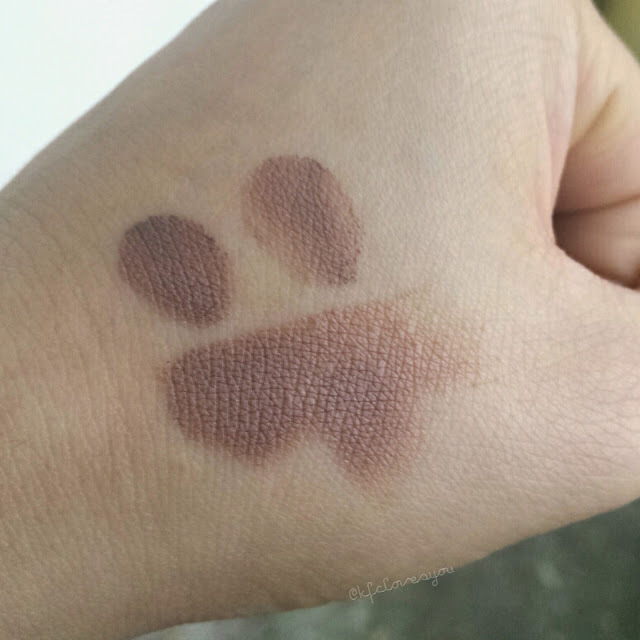 The color was a bit darker when swatched then what I had thought it would be but I ended up liking it more that way. Since it blends out easily, you could easily sheer it out for a nice wash of color on the lids and you can also intensify the color by building the color up in the crease or what not. So far, it wears nicely on my eyelids, even without primer or concealer on it and doesn't crease on me. I haven't paired eye shadow over this product yet but I can see it being paired beautifully mauve and taupe like shades for more natural shades and added warmth for dark grey or black smokey eyes. I love how fast and easy this product is to use and how I don't have to think about it at all. I definitely recommend this color in the line. I'm sure the others in this leather line are beautiful too, but I can't speak for them since I haven't tried them yet. 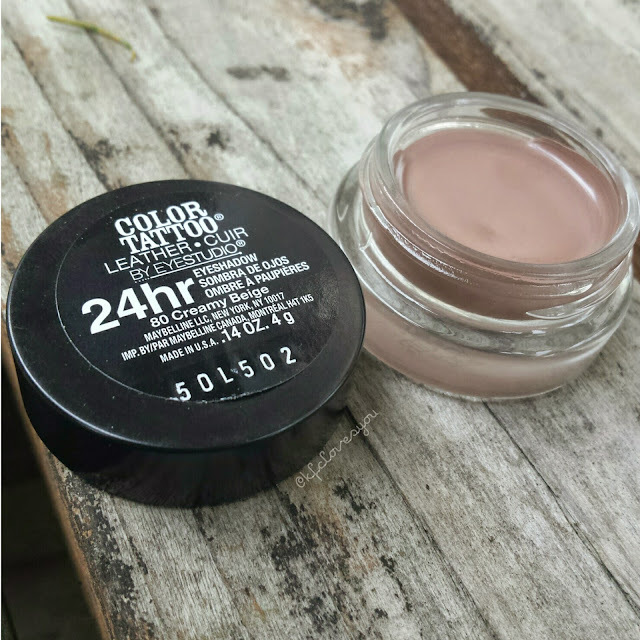 Readers, have you tried any of these Maybelline Eye Studio Color Tattoo Leather cream eye shadows before? Have you tried any Color Tattoos in general? What are your favorites? Let me know!